Focus of Grid Debate Has Been on Producers, but What About Consumers? As the utilities and big energy users spar in Austin over how to best encourage the building of power plants, another important issue that is getting less public attention is about how Texas can curb its energy use. The “polar vortex” that swept across much of the nation early this month knocked two North Texas power plants offline just as residents began turning up the heat and revving up power use. Grid operators fixed the problem, but not before warning consumers that they were a step away from issuing rolling blackouts. With that, the weather added fuel to a high-stakes debate about the state’s electricity market and the demands of its soaring population. As the generators and big energy users like manufacturers spar in Austin over how best to encourage the building of new power plants, another important question is getting less public attention: How can Texas curb its energy use? Generators are pressing regulators to shift the state’s “energy only” market to a “capacity” model, which would pay power plants to maintain reserves and be ready to meet demand peaks — a multibillion-dollar proposition. They say that low natural gas prices have eroded the economic incentive to build plants. Critics of the idea — which include consumer advocates and big energy users — say the costs of maintaining those reserves would fall to consumers, and some argue generators are exaggerating the grid’s troubles. But balancing the grid involves more than just increasing capacity. 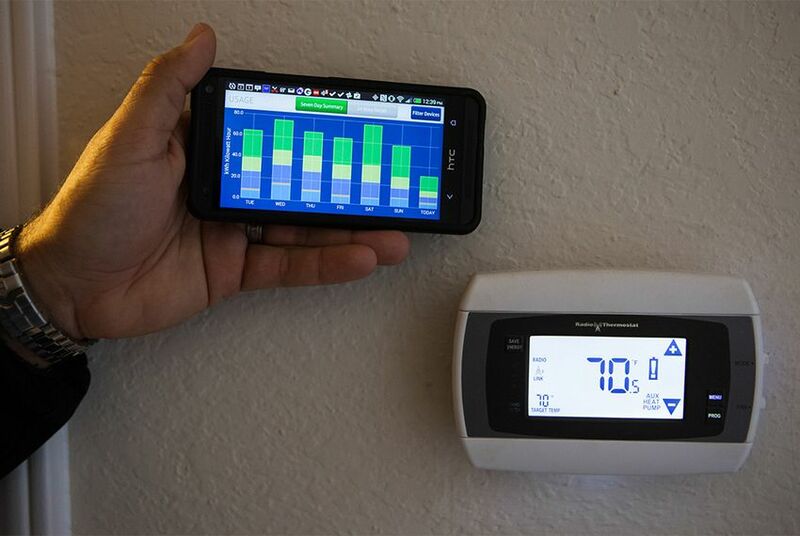 Perhaps the state’s most promising conservation tool is “demand response,” which relies on high-tech thermostats and meters that allow utilities to power down air-conditioners, heaters or pool pumps when demand peaks. The programs, which are voluntary in Texas, can take many forms. One offered by CPS Energy of San Antonio lets the company control its customers’ energy use when the grid is stressed — usually for a few minutes at a time, and at times specified by customers. When the polar vortex hit, CPS Energy saved about 47 megawatts of power use through its two demand response programs. That is enough to power 19,975 homes under normal conditions and 8,460 homes at peak times. Demand response is gaining momentum, particularly with industrial power users. But the programs have yet to reach their potential amid struggles to break into the large residential market. A 2012 report by the Brattle Group, a consulting firm, calculated that demand response shaved about 4 percent of energy use during peak demand times in Texas. But if the state took steps to erode barriers to expansion, the report said, that number could reach as high as 15 percent. Little has changed since the report was issued. The biggest obstacle to widespread growth of demand response, experts say, is that the Electric Reliability Council of Texas, the state's grid operator, does not allow demand response companies to participate in the wholesale energy market. Editor's note: An earlier version of this story incorrectly referred to electric generators who are pushing regulators to overhaul the wholesale energy market as "electric utilities." Utilities are a separate and distinct type of company.